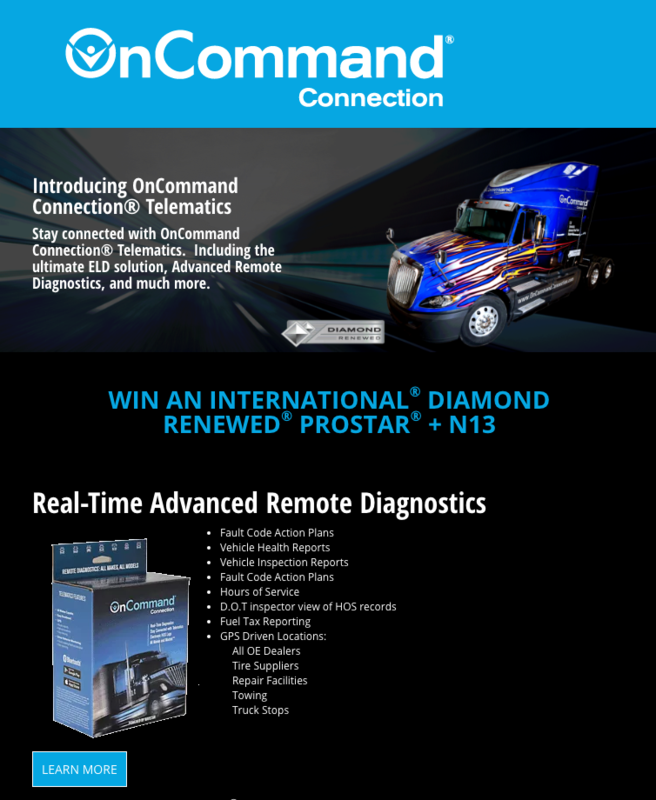 Navistar Connected Services recently introduced OnCommand Connection Telematics. This new device gives truck owners, operations, and fleets real-time advanced remote diagnostics, including vehicle inspection reports, fault code action plans, and hours of service. 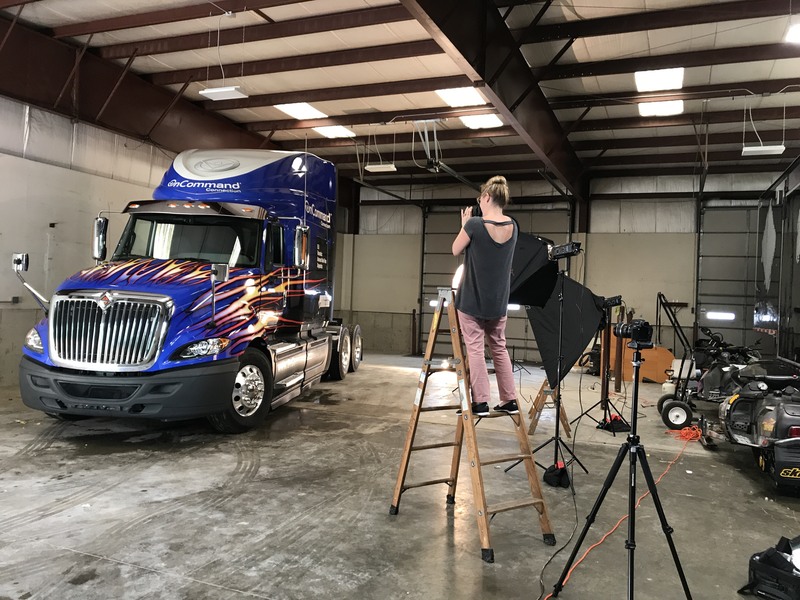 To promote their new product, Navistar launched a sweepstakes, giving away an International Diamond Renewed Prostar truck to one lucky winner. Sparkfactor was hired to create a landing page and form for the sweepstakes, as well as photograph the prize truck. Sparkfactor spent a day shooting the truck on location at the detailer’s facility in Johnsburg, IL. Using strobes and reflectors, our Creative Director Ingrid photographed the flame-covered truck. Back at our office, we were able to incorporate the images into the landing page that was created specifically for the sweepstakes. The landing page educates visitors on the OnCommand Connection Telematics device, tells them what kind of truck they would win, and has a form to fill out to enter the sweepstakes.